Home security matters just as much when you aren’t home as it does when you are. 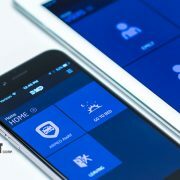 So if your family plans to take a trip for this year’s spring break and you haven’t yet invested in a smart home security system – or if you have made the upgrade to a smart home system, but you aren’t sure how to get the most out of it – then it’s time to consider how such a system can protect your house while you’re away. Let’s address some of the most important ways it can do this. “Did we remember to lock the garage?” That’s a question you won’t need to ask if you make the most of the alert features on your system. The night before you leave, set an alert on your phone that reminds you to lock up at the right time; that way, you’ll have one less thing to worry about from the road. And if you somehow manage to ignore your alert, you’re still in luck because you can turn on your electronic locks remotely with your smart phone. Electronic locks are an especially great feature of smart home systems for vacationing families. If someone is staying at the house while you’re away, it’s obviously a person you trust. But what if you have concerns about your pets being fed, walked, or let outside? After all, your house sitter may not be around 24/7. In that case, use your smart home security system to get notified when the person enters the house. If you haven’t received an alert by the time you’re expecting them, you can make the choice to text them a quick request for a pet update. How does your system know when your house sitter is coming and going? It allows you to give them their own code for the keyless entry keypad. It can be activated when you leave for your trip, and deactivated when you return. Spring time can be notoriously rainy, and even the best-kept home is not immune to the risk of leaks. Likewise, sometimes things just “happen” to plumbing systems – and the worst time for it to happen is when you’re away on vacation. To prevent a minor mishap from becoming a major emergency, flood detection can be programmed into your smart home security system ahead of time. That way, you get a smartphone alert if there’s water on the floor and can call someone to check it out. Remember, you can let them in with a temporary code that you activate when they arrive and deactivate when they leave. There are many ways that remote access to your system is a valuable thing to have when you’re away from home. 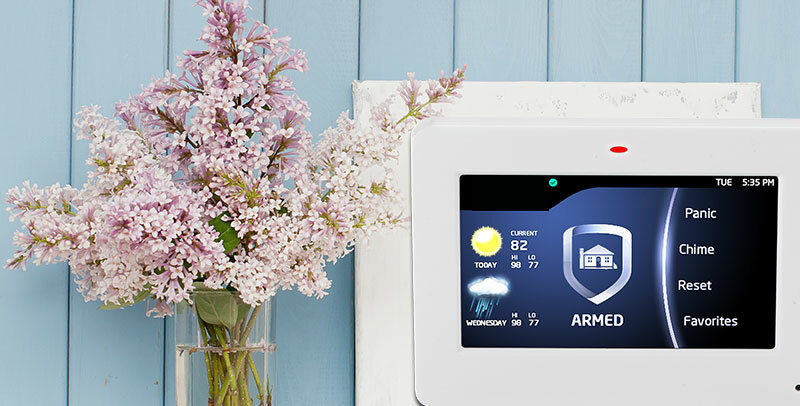 To learn about more ways a smart home security system can give your vacationing family peace of mind, contact Security Instrument. We will be glad to answer your questions. Security Instrument is the largest full-service, independently-owned provider of home security in Delaware, serving thousands of customers throughout Delaware, MD, NJ & PA.